Americas driving world is in constant fluctuation as new drivers and new vehicles join the roadways. 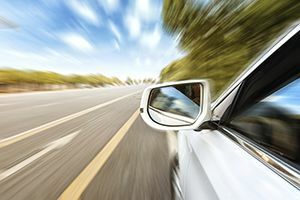 However, new technology-driven and semi-autonomous vehicles have an increasing presence today and are leading to uncharted territory for federal and state regulators. If you or someone you love is injured in an auto accident that resulted from a driver distracted by the technology in their vehicle, do not hesitate to call our experienced auto accident attorneys today for a free case evaluation. Google Inc., Tesla Motors, and General Motors are just a few of the companies at the forefront in designing new techniques and implementing hands-free driving elements into their vehicle designs. While complete self-driving vehicle systems are still years in the making, elements on a smaller scale, such as hands-free traffic navigation, in-vehicle wireless networks, and robotics systems that watch for potential crash hazards, are already causing reasons for concern. The National Highway Traffic Safety Administration is currently deciding what standards and regulations should be applied to this new, yet unfamiliar technology. Clear regulations are still not in place to ultimately protect drivers; in fact, the NHTSA administrator Mark Rosekind told reporters, We have a lot of catch-up to do. But this does not have to leave you without options. Should the worst occur, our experienced team of personal injury attorneys and researchers at Phillips Law Group will strive to get you the justice you deserve. Specializing in personal injury and auto accident litigation in Arizona, we understand that technology can lead even the best driver astray. If you become the victim of new vehicle technology and are injured in an auto accident, we can help. With years of experience representing the injured in all types of auto accidents, you can trust that we will fight for your rights.